Overseer Brodrick E. Ross Sr.
is a native of Bryan, Texas born in April 1968 to Doris M. Ross and Jimmy McCoy. He is the father of one daughter Tia, and four sons Damon, Darius, Brodrick Jr., and Jaren. In December 1989, he answered the call to the Gospel ministry was licensed, and later ordained in April 1994. He currently holds a Bachelor of Science degree from Sam Houston State University where he also lettered in basketball. While attending Sam Houston, he participated in the Nation Baptist Student Mission and served as vice president of the award winning Soul Lifters Gospel Choir. In March 1993, he was called to pastor the St. James Missionary Baptist Church, and has served faithfully for over 23 years. 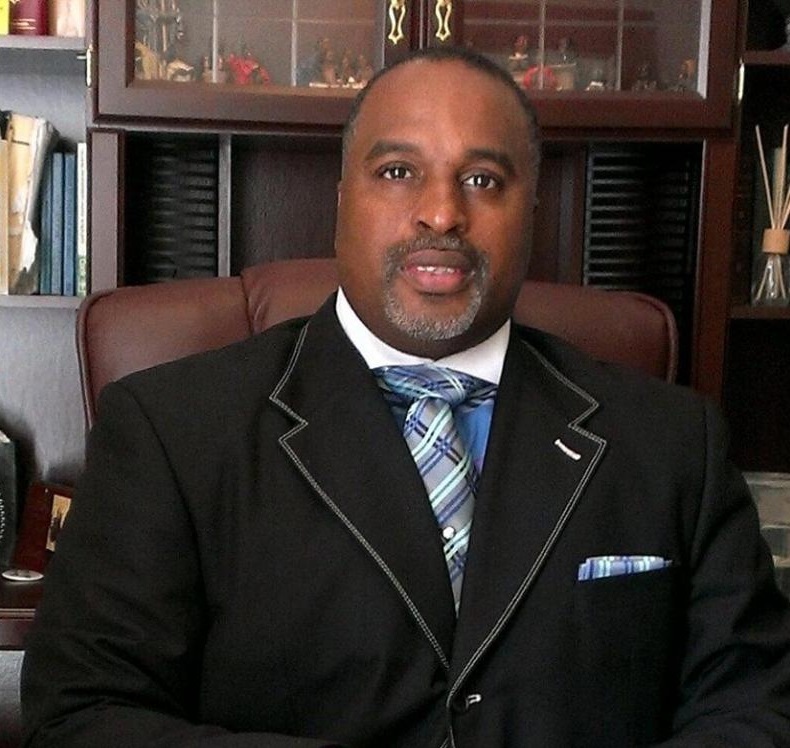 Pastor Ross was elevated to the office of a district overseer in 2008 by the Full Gospel Baptist Church Fellowship International, and also serves as state liaison of Emerging Churches Fellowship Assistance. Prior to his current pastorate, Overseer Ross served as the interim minister for the United Missionary Baptist Church, Greater Faith Revival Center, and later the New Life for a Dying World in Waco, Texas. While granted many opportunities to lead Overseer Ross continues to keep an humble heart.